Get a cool yet stylish casual wardrobe with our selection of men’s T-Shirts from TShirtGrill. 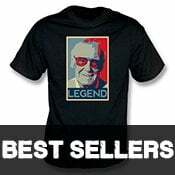 No matter what your style, we guarantee to have the ideal t-shirt for you. We have everything from funny slogans to retro cars and retro music to film and TV. So whether you’re a film fanatic or a music buff, we have you covered here at TShirtGrill. Why not cheer yourself up, as well as everyone you meet with a funny slogan men’s t-shirt from TShirtGrill? We offer everything from funny to the damn right silly and all in a range of colours to suit almost every mood! We have a huge selection, so we are confident you’ll find something perfect. 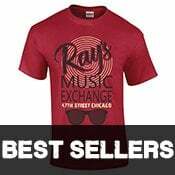 If you’re a music lover, you will love the selection of men’s T-Shirts we have available online today. No matter what your taste, rock, blues, pop, dance or electro, our range is as eclectic as can be. Take a look and be the music man in style! Is film and TV more your thing? Are you a film buff who wants to showcase your favourite on screen hero proudly on your chest? Well, we’ve got that covered too. Check out our collection of TV & Film t-shirts for men, starring such memorable films as Scarface, Clockwork Orange and The Lost Boys. Why not check out our full men’s collection? 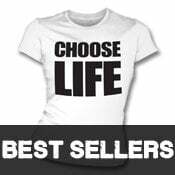 We also offer fantastic t-shirts and hoodies for women.